Each funeral is unique and each family will have their own wishes for honouring their loved one. 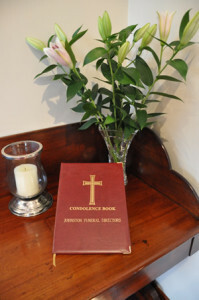 We provide a comprehensive service which covers all aspects relating to the funeral. We seek to support each family in making the necessary decisions and choices at what is often a difficult and harrowing time. Families can be confident that all services will be provided with professionalism, dignity and sensitivity. Arranging for the care and transportation of the deceased and appropriate preparation/ preservation and presentation for viewing. Arranging settlement on your behalf of all third party fees associated with the service/arrangements. Help you through the process of obtaining a Death Certificate and any other necessary documentation, both before and after the funeral. All embalming is carried out by a qualified embalmer. Assist and advise in the selection of a coffin from our showroom. We stock a large selection of coffins and caskets, including eco, varying in price, from the most basic to the more expensive, all of which are on display in their completed form. Prices are available on request. 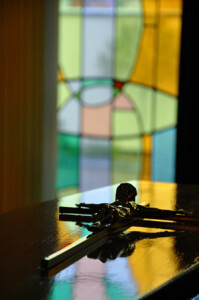 Click here to view our Coffins Gallery. Obtaining the necessary documentation in the locality. Presenting the documentation to procure permits for the destination country. Preparing the body for shipment to include embalming and dressing. A cremation service, like a burial, takes place in your local church. The coffin is then taken to the crematorium where a committal service takes place, much like what would take place at the graveside. 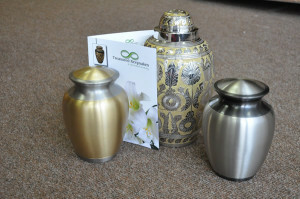 The cremated remains are then returned to the family and arrangements are made for burial or, if preferred, the scattering of the ashes in a space that is special to family. We will arrange and advise you on all the necessary documentation in relation to the cremation. Advising and arranging for the erection of a new headstone or having additional inscriptions or renovations applied to an existing one. If you have purchased a new grave, we will provide a suitable marker for your convenience until such time as you are ready to discuss the erection of a new headstone. If you have any particular requests please do not hesitate to talk to us and we will ensure these are dealt with in a dignified and professional manner. You are assured that we operate in the strictest confidence at all times.